Arisa White, whose work is featured in Another & Another: An Anthology from the Grind Daily Writing Series, is featured in the first issue of Your Impossible Voice. Listen to her poem “Here the neighbor screams for Frankie,” then check out the rest of their first issue. “Here the neighbor screams for Frankie” was written in the June 2013 Grind. Benjamin Garcia has a poem entitled “To Drive a Lover Mad” in a recent issue of The Collagist, and the new issue features anthology contributor Jamaal May’s two poems, “Thinking Like a Split Melon” and “Macrophobia.” Meanwhile, regular Grind participant Mary Lou Buschi (“Spell I”) and anthology contributor Vievee Francis (“Epicurean”) have poems up at Four Way Review. Matthew Haughton’s debut collection of poems, Stand in the Stillness of Woods, has been released by WordTech Editions. Haughton’s poem “Ox-Eyes” appeared in Inch #17. Inch #11 contributor Katerina Stoykova-Klemer had this to say about the collection: “In Stand in the Stillness of Woods, horses, hawks, deer, bobcats, chickens and ‘all breeds of creatures’ emerge to add voice and presence to the completely-alive world of the speaker. These poems explore the formation of a deep connection to one’s place of birth and trace the development of that connection through symbolic observations of nature and insightful attention to detail. Fears, dreams and relationships bring heartbreaking premonitions of upcoming tragedies and loss. Mountains, hills and woods become characters in this world alongside family members and Kentucky literary icons. These poems stick together and converse with one another while drawing us in. We, the readers, stand still and in awe of the beauty of Matthew Haughton’s first full length poetry book.” You can order a copy at the WordTech web site: http://www.wordtechweb.com/haughton.html. 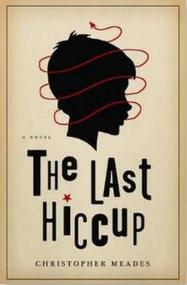 Last year, we told you about The Last Hiccup, the second novel from Inch #9 contributor Christopher Meades. Meades was presented with the Canadian Authors Association’s fiction award for the book, published in 2012 by ECW Press. Other authors who have won the Canadian Author’s Award for Fiction include: Margaret Atwood, Ann-Marie MacDonald, Alistair MacLeod, Will Ferguson, Tom Rachman, Patrick deWitt and Douglas Coupland.